Compositing is about making complex, visual masterpieces driven by your creative vision. Through mastering compositing, you will deepen your understanding of color, light, and movement – vaulting your photography skills to the next level while bringing more value to your clients and your pocket. 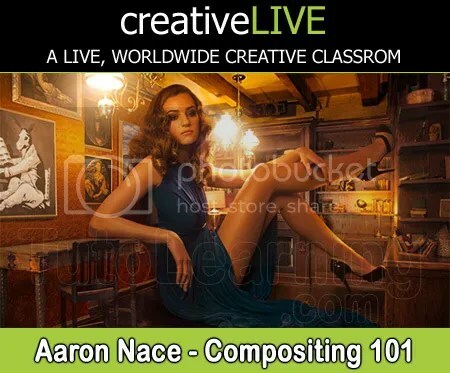 Instructor Aaron Nace has taught millions of photographers at every skill level how to construct vibrant images through photo manipulation. This 3-day introductory course will teach you everything you need to know about compositing – from basics to mastery. During this in-depth workshop, Aaron will show you how to conceptualize the idea, plan out your composite, photograph and light each piece of the puzzle, and artfully combine the many parts using Photoshop. BIO: For over five years, Aaron Nace has been teaching photography and photo manipulation to millions of users across the world at every skill level. Initially a hobbyist while earning a Bachelor of Arts degree in Industrial Design from North Carolina State University, Aaron’s expertise in Photoshop developed rapidly. His creative portfolio of retouching, compositing, and conceptual work grew quickly, and he soon became a globally recognized Photoshop master. His images have been published on MSNBC.com, AOL.com, and The Huffington Post. Ever since, he has been committed to sharing his methods of creative conceptual photography both online and in-person. Aaron is excited to continue making creative conceptual images, teaching and inspiring students at every level, working with amazing artists of all kinds, and becoming a resource for anyone interested in learning photography and Photoshop. To see his portfolio, check out http://www.aaron-nace.com, and to join the Phlearn community, visit http://www.Phlearn.com for new daily content.